The recently updated tweet from Netflix has brought up big names from the MCU realm to feature in their upcoming live screen adaptation of the 2011's thriller novel, The Devil All the Time. 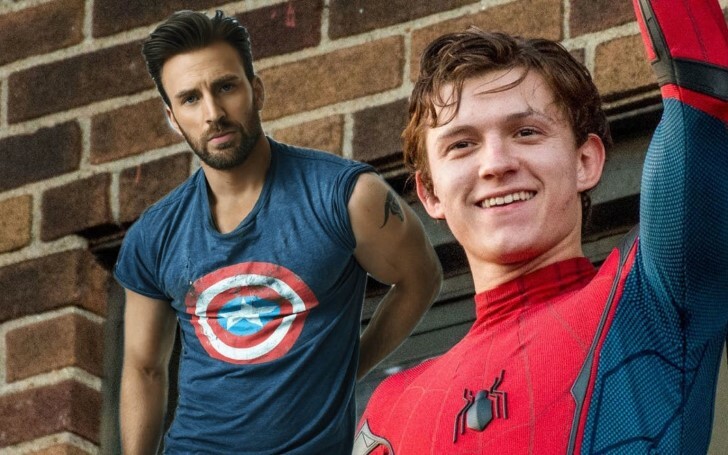 Two members of the Marvel Cinematic Universe, Chris Evans and Tom Holland, are again teaming up. But just don’t set your hopes right away Marvel fans! Apparently, the actor is to be seen in a completely different universe from Marvel comics, this time in the whole new world of Netflix. The entertainment service recently acquired the rights for the film The Devil All The Time. The movie is an adaptation of Donald Ray Pollock’s violence and redemption-themed novel by the same name. Set in a place called Knockemstiff, Ohio, as well as West Virginia, The Devil All The Time features a psychopath killer couple, a faith-testing missionary, and a venal town sheriff. The story unfolds the events two decades from the aftermath of World War II to the 1960s. Both Evans and Holland expanded their range in the years following their respective success in the Marvel cinematics. Evans just finished his shooting days with Rian Johnson's Knives Out, a modern murder thriller in a classic mystery style. Likewise, Holland is currently in the arrays of several big-screen projects like Doug Liman's Chaos Walking and another MCU reunion with Robert Downey Jr. in The Voyage Of Doctor Dolittle. Additionally, Holland is still lined up to star in the long-delayed Uncharted movie, which just on-boarded Dan Trachtenberg to direct. Netflix confirmed they nabbed The Devil All the Time and will make it into theatrical release, along with the revelation of the movie's main cast, on Twitter a few hours earlier. The novel follows the story, where a man named, Willard Russell, out of desperation to save his dying wife, turns to prayer which later longs to sacrifice his life along with his wife's. This sets protagonist Arvin, Willard’s son (Holland), to raise himself without his parents and in turn, makes him a rugged man from a bullied kid. Evan this time, however, is set to play the corrupt sheriff leaving behind his former righteous character of Steve Rogers. With the big names of Evans and Holland already being upfront, the movie will also be ensembling the likes of Robert Pattinson, Bill Skarsgard, Eliza Scanlen, Mia Wasikowska and Gabriel Ebert. Antonio Campos is directing the live adaptation of The Devil All The Time, with the Principal photography taking place in the next month in Alabama. The cast was revealed by Netflix's Twitter subsidiary account See What Next, which assembled all six principal actors with a quick plot about the film. Needless to say, the movie is going to be pretty dark with some powerful and unsettling experience to follow. On a contrary, we may also get to see Evans and Holland without the shield and all that web-slinging. Don't Miss: The Much-Awaited Trailer of 'Spider-Man: Far From Home' Released - Does It Hint The Fate of Tony Stark? Evan’s been hinting that his tenure as Captain America is coming to an end after Avengers: Endgame and that he also wanted to try something new for him. And if that's the case the actor is sure looking forward to proving that he is indeed more than just the shield. With a cast that also follows Pennywise from It, Skarsgard, Mia Wasikowska, and once a vampire heartthrob, Robert Pattinson, you can be sure that this Netflix’s adaptation is going to be a thrilling experience to brace yourself from. The release date for The Devil All The Time, however, is yet to be disclosed by Netflix. The Much-Awaited Trailer of 'Spider-Man: Far From Home' Released - Does It Hint The Fate of Tony Stark?